Without a hero to keep the criminal class in line, the playground can quickly become a pretty rough place. And being that hero can be pretty difficult. Sure, there are a few standard-issue baddies in the average rogues gallery. But some villains, like The Scarecrow, can be much tougher to deal with. They thrive on fear and confusion, trying to make the hero lose sight of what's truly important. Sometimes, they can make the hero forget who he or she really is. 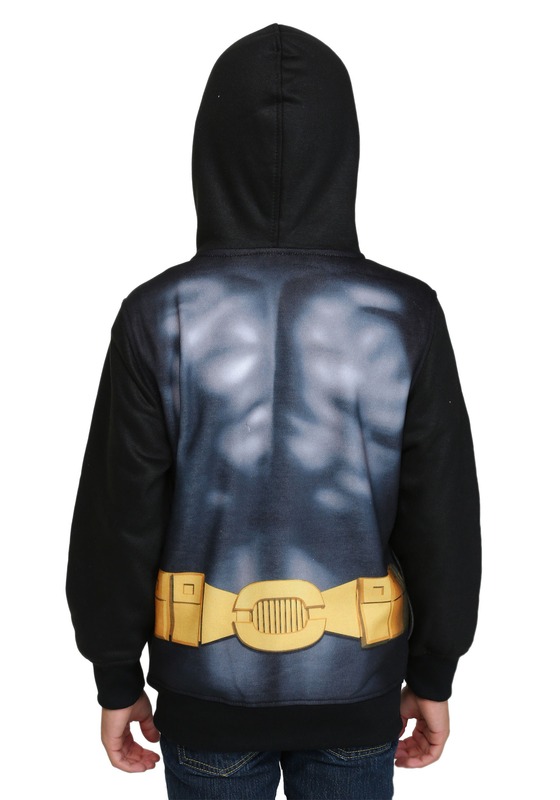 If you forget who you really are, we recommend pausing for a moment to consider what the Caped Crusader might do in your particular situation. 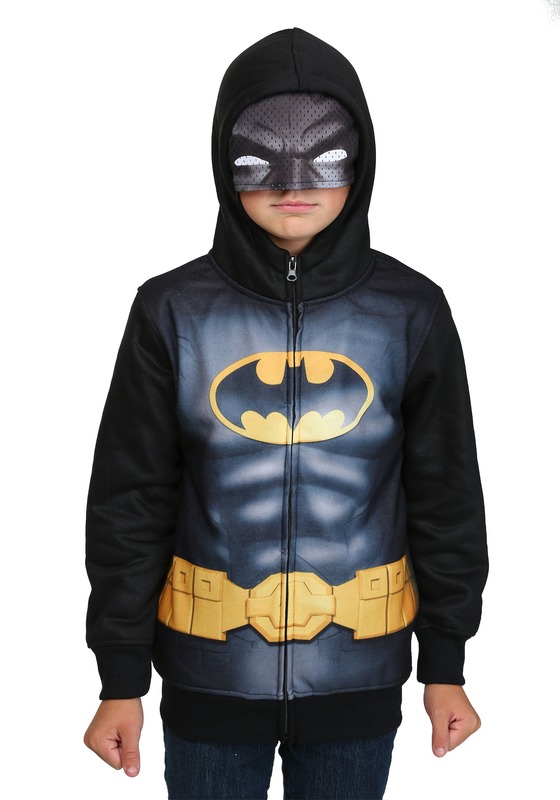 And whether the biggest threat you face is the chilly autumn air or the corruption that lurks in Gotham's seedy underbelly, flipping up the hood on this awesome sweatshirt should make it even easier to imagine yourself in the Batsuit. 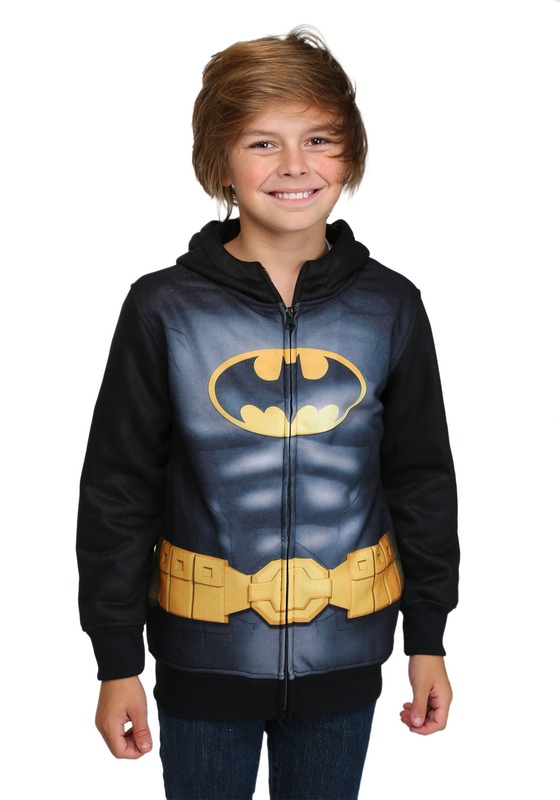 Add a set of bat-gloves and a pair of boots, and you'll look every bit like the Dark Knight himself. If you're still having trouble with your identity after that, just glance in any mirror!